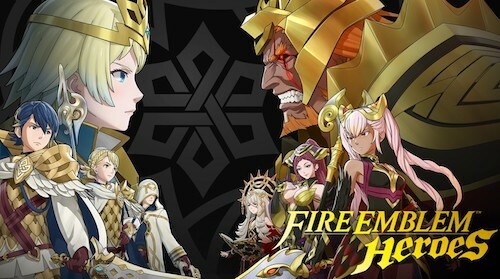 Strategy RPG Fire Emblem Heroes, which made its debut in February 2017, accounted for nearly 66% of Nintendo’s mobile revenue for 2018 revenue with over $230 million in player spending globally, Sensor Tower is reporting. The smash hit title has grossed $487 million to date across the App Store and Google Play. According to the latest Sensor Tower Store Intelligence estimates, Nintendo’s first mobile game, Super Mario Run, saw player spending of just over $10 million in 2018, a far cry from the $31 million it pulled in the year before. Nintendo’s mobile ambitions saw the publisher reach a new record of nearly $117 million in worldwide player spending across the App Store and Google Play during the fourth quarter of 2018, according to Sensor Tower Store Intelligence estimates. This represented a 47 percent increase over 4Q17 and was driven primarily by its latest release, Dragalia Lost, which pulled in $54.2 million during the quarter. All told, Nintendo took in $348 million during the calendar year 2018, an increase of 15 percent over 2017. Last but not the least, Nintendo’s Animal Crossing: Pocket Camp closed out 2018 with an estimated $48.6 million in player spending after turning one year old in November.